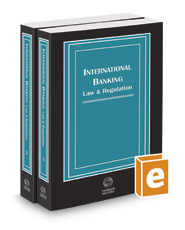 An international team of recognized experts in 60 jurisdictions create a comprehensive resource on international banking law and regulation. These specialists explore: local regulatory bodies and the banking system; chartering or licensing of banks within the jurisdiction; regulatory and supervisory rules for banks; banking reform legislation enacted to facilitate changes or restructuring; international harmonization efforts towards the potential international convergence of bank supervisory standards and local recognition of international banking standards. Easily answer these banking questions: What is the German threshold percentage for reporting substantial losses? How detailed is the application process for a bank or trust company licensed in the Cayman Islands? What are the restrictions on transfers of large sums of foreign currency in Malta? What are the permitted activities for banks in Belgium? What is the minimum capital percentage to be classified as solvent in Indonesia?